Do you earn more or less than the world’s or Malaysia average salary/wage? Oh!! This Article is full of mistakes, Huge ones in fact. In Egypt the average wage is far far lower than 548 usd/month .The same thing is for Hungary and I doubt also about many mentioned countries above. Do you have fact to support your claim? Facts!? DO you live on the planet Earth 2013 ?.The averrage wage in Qatar that you list number 29 for example is 8000 EUR (not USD! ), which no doubt surprises you.Is this an amateur articl? student in first year economics? This data is base on research done by United Nations’ International Labour Organization and this is base on 2009 data. You can say anything but without fact or extensive research, it is useless. How sure are you? where is your fact or research report to support your claim. I appreciate that you write with supporting research report but does it corrected to PPP? Why are so many countries whose wages are somewhere in the middle there not seen? Are you only intending to show the biggest or most famous? Portugal for instance has a medium wage around 770 euros so it should be there! This may be right in nominal terms, but extremely misleading. If you adjust for PPP, it should be Singapore, Hong Kong, US, Luxembourg and the Swiss. I’ve known some Swedes and Norwegians, they said prices seem 2-3X cheaper here. If PPP is not meant to be in this graph, then fine, but there should be a disclaimer. I understand Hong Kong’s PPP GDP per capita is quite impressive but this is “wage PPP”. Many people are confused with Wage PPP and GDP per capita PPP when they are so different one another. I think Singapore’s wage PPP should be higher than that but Hong Kong’s wage has been not very high in comparison with its GDP per capita level. High GDP per capita does not necessarily mean high wage. Wage is high when there is an ongoing inflation but Hong Kong recently experienced ongoing deflation as far as I know according to IMF statistics. 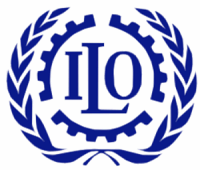 By the way, it is actually in PPP term and I carefully examined the data on ILO website. Oficial average is about 900 – 950 USD / month, but most of people earn about 500 – 600 USD / month. Who has the average of about 700 EURO is lucky man. Of course, managers, politicians and CEOs earn thousands of dollars a month, but most of people are hand-workers with about 300 – 350 EUR / month. Most of people work in the car industry. this is not true…average monthly salary of india is around 15000 ruppes. (300 dollars)…!!!!!! !..its only 100 dollars.. I totally agree with the first three places, but the 4th United States? I believe that those 9 million Swedish live better that most of US citizens. After living in Scandinavia, placing Finland, Sweden and Denmark under US it is just non sense for me. BUT if it is an average, then that 1% of billioners in the US “helped” to place this country in 4th place. Not fare knowing the non equal society and not to mention their huge economical bankruptcy. I agree with your ” I believe that those 9 million Swedish live better that most of US citizens.”. However, the data seems like after taxation and it quite makes sense to me. Scandinavians are with higher gross income than the U.S. but the U.S. citizens get more net earning. Lithuania, it is 3 times less. It is nonsense your article. minimum wage is 3 times lower, but this is about average wage and average wage in Lithuania is just about it. This is totaly made up data. I live in Croatia,and i am a economist by proffesion. Maybe in cities like Bucharest and Timisoara, but as for the rest of the country it is more like $250 /month. Source: I am native Czech / 58 years!! Something is wrong with the figures. The average in Turkey should be 1000 usd. Malaysia and Turkey should be nearly the same. Average wage is a little complicated thing, because there can be 10 people with 100 dolar monthly wage, and only one who gets 10000 dollar per month, in this case average wage is 1000 dollar. Maybe in your country are people who get more wage than you know. ://///// There is one problem so is not the same as . I think the average Turkish salary somewhere a little lower than the research. Maybe around 1350 USD.. Your figures are totally off the wall, i’m a British expat and i can tell you now that currently,and having been like this since we entered the euro and even before the average wage,it has never been what your suggesting. The average wage is 800 euro per month ‘roughly $900 per month, the amount your suggesting would amount to say 20% of the working population of Cyprus. You really need to make sure your facts are correct, also i can state there are a lot of Romanian immigrants here in Cyprus and the reason they are here is due to low earnings in their homeland,so they come here to send back money to familes in Romania to live off,they actually earn less than the average of 800 euro, they earn around 500-600 per month. In Romania i’ve been told they earn roughly 250-300 euro per month. Where did you get your data from !?!? Can you read it properly? In the first paragraph, I clearly state that the data were coming from United Nations’ International Labour Organization (ILO), a very credible organization. Further down, I state that the data was from year 2009 with PPP adjustment. Are you sure your data is correct? Where you get your data? Which year? Any PPP adjustment? You must understand PPP conversion. this is an approximate explanation but a better one can be found online. Countries with very low salaries sometimes have very low costs of services and products, so living is less expensive. This means that their PPP will adjust up their actual wages based on purchasing power in their location to SEEM like they make more money. This is because 1,000 USD in USA will purchase 1,000 worth of goods (on average). However, 1,000 USD in Turkey may purchase $1,500 or $2,000+ worth of goods due to PPP. This is not the amount people get paid, it is the purchasing power of the money they make adjusted to the market they live in and then shown in approximate USD. This is an estimated value and it is very hard to compute because an apple iPhone may cost much more in turkey, but food, rent, haircut and other daily services may be much lower. Parking for 1 hour in New York is $30.00 USD. Parking in turkey may be free. So a dollar in Turkey is worth more than it is in NY. I think that all of these people complaining that the chart is incorrect do not understand what “average” means. There are a LOT of people in these countries that make MILLIONS of dollars and when you take the “AVERAGE” them AND the folks making “2 dollars a day” (or whatever the example may be), You get the average number you see listed.